Today’s real estate environment can yield a greater return on investment when you work with partners who understand the intricacies of how to formulate a successful deal for all parties when buying or selling a property. Trust, as with all relationships, is the fundamental principle that supports a positive outcome. When choosing advisors, it should always be a must for the relationship to work. All of 1620 Capital’s brokerage services are handled by The Nikolaos Group, Inc., founded and managed by George N. Vasvatekis. With an outstanding reputation and years of experience in real estate sales and management, George has been a trusted partner to those seeking to purchase or sell real estate. He integrates his extensive consultative talents to help clients purchase and sell real estate for business, residential, or investment purposes. Blending years of expertise in government relations into his real estate practice, George helps his clients gain a deeper understanding of municipal real estate laws or regulations such as zoning requirements, historic restoration, permitting, renovation work, and a host of other issues that may arise prior to or after the sale or purchase of a property. If you are seeking a trusted partner to work with you on your next real estate investment or for more information on how The Nikolaos Group can help you purchase or sell a residential or commercial property, please click here. The Nikolaos Group, Inc. is a licensed real estate brokerage in MA and NH and offers representation to both buyers and sellers of commercial and residential real estate. 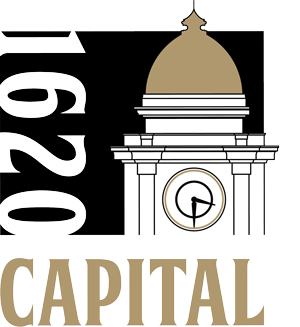 Welcome to 1620 Capital, LLC, the management entity for all of our real estate investment and management enterprises, brokerage services division [the Nikolaos Group], and the 1620 Restaurant Group. Owned and operated by the Vasvatekis family, 1620 Capital has been privately owned for nearly three decades. Contact Us Today © 2016 1620 Capital, LLC. All Rights Reserved. Site designed and developed by PENTA Communications, Inc.